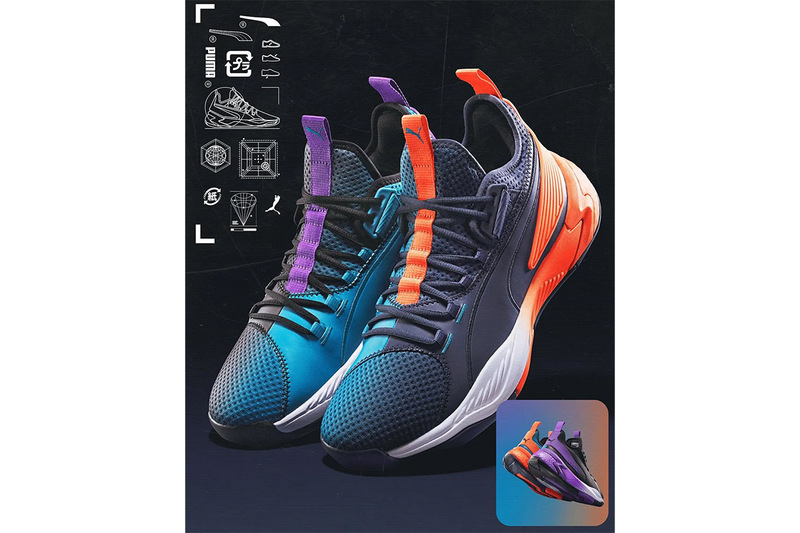 Previously spotted on the Golden State Warriors power forward DeMarcus Cousins, PUMA has now unveiled its Uproar basketball sneaker releasing alongside the 2019 NBA All-Star weekend in Charlotte. Releasing in an exclusive “Charlotte” colorway, the new silhouette will feature an upper fading from dark blue to teal, with one shoe adopting orange accents and the other purple across its midsole, heel and pull tabs. The Uproar is equipped with NRGY, PUMA’s advanced cushioning system, and is constructed of mesh and synthetic overlays. The PUMA Uproar “Charlotte” is expected to have its first retail release on February 16. Expect more colorways to follow. For more loud footwear, check out Vetements latest rework of the Reebok Instapump Fury. Add this to your sneaker rotation. ICT goes global for the first time. Featuring the now infamous flipped swoosh. In red or green, cast in resin. The “shirt boys” branch out.